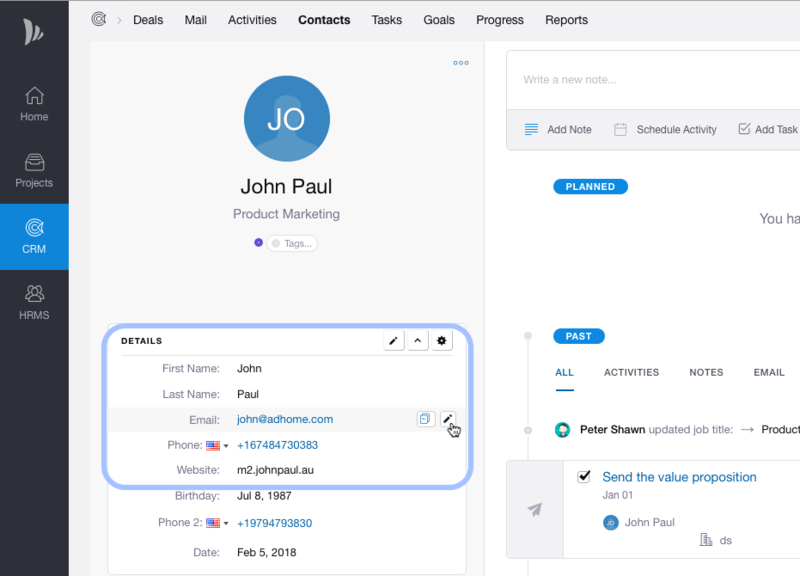 You can change the details of Person like Name, Job title and Custom Fields or update them from the Contacts section in CRM Module. Alternatively, You can also change person details like Name, Mobile number, Owner, Job Title and Organisation right from the person list view. 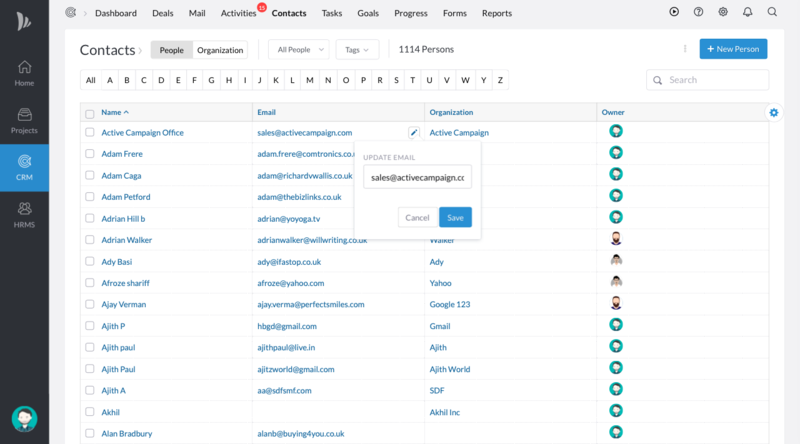 You need to have access to Contacts section in CRM Application to perform above action.